Keeping our kitchen always clean is not that hard easy, yet we often forget and lazy to do it. Having a cool and modern trash can is kind of a good solution in this case. The touchless kitchen trash can is the stuff that doesn’t only keep the bathroom clean, but also add another style to the room. It comes with different types, shapes, and styles, some of them have a powerful and good sensor technology for your convenience. 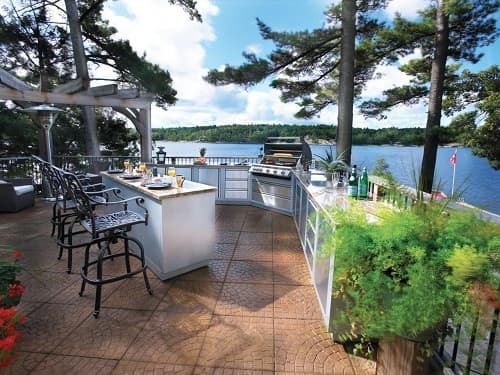 Moreover, you can choose the size or capacity of the trash can belong to your kitchen needs. 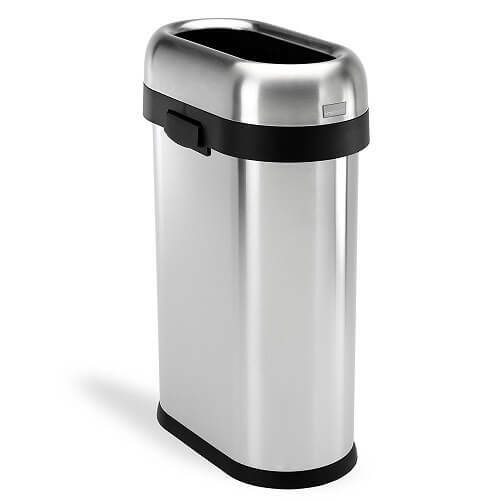 Then here, we have some beautiful and reliable touchless kitchen trash can for you. 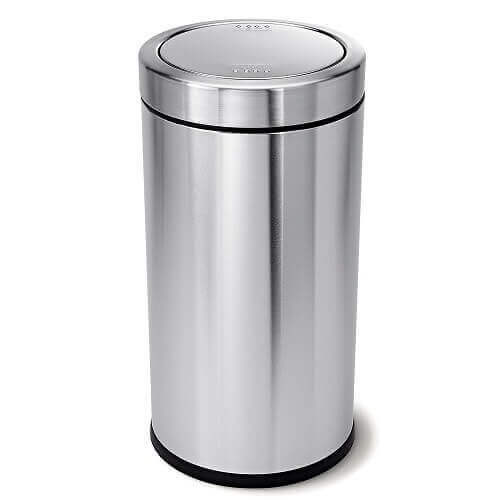 This beautiful and modern trash can comes with simple silver color style but you can give it a nice picture cover to enhance its look. With the big capacity about 50 liters, it is enough to hold your house trash. 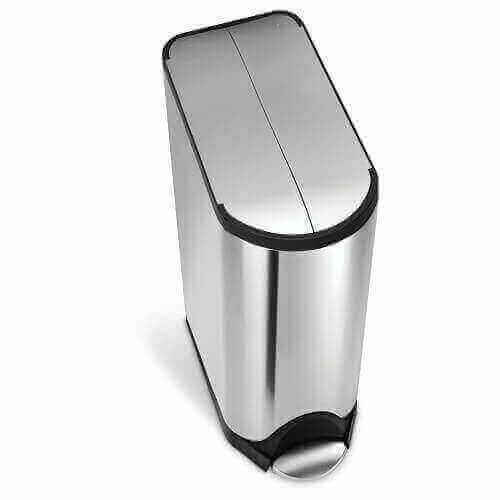 The look of this modern trash bin is so beautiful with a shiny finish. This modern trash can is more convenient and healthier because it has non-touch lid operation complete with a deodorizer. It is so perfect for any places such as office, home, school, care facilities, etc. 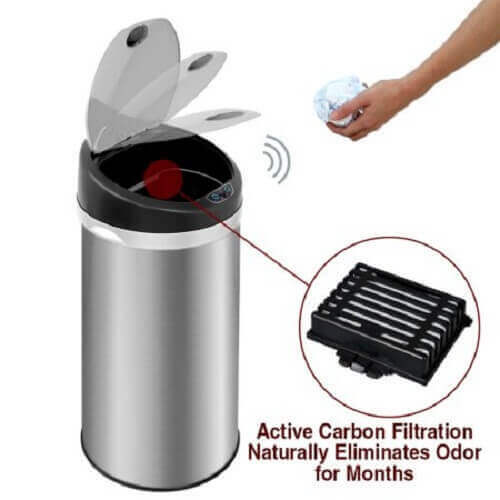 The iTouchless Deodorizer trash can has one free odor filter with activated carbon to eliminate the odor around the room. 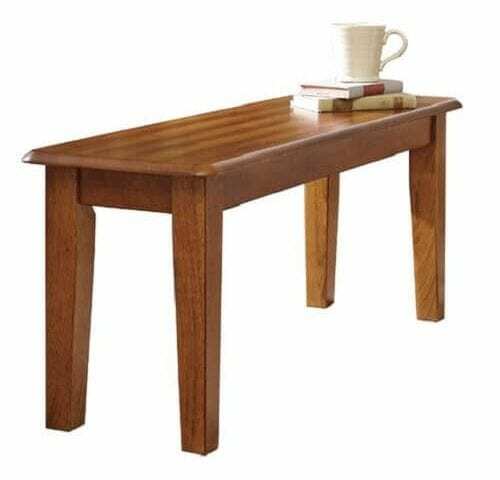 It comes with an extra wide opening about 11.75″ diagonal, so we can easily accommodate some bulky and large items. If you get your trash bag full, the air vent of this modern trash can help you to easily remove it. Moreover, this amazing trash can has an anti-microbial feature, a fingerprint-proof, and absolutely easy to clean. The 4D size batteries of this trash can last up to more one year (not included) and you can also use the optional AC adapter which is sold separately. Not required for any custom bags. The capacity for this kitchen trash bag is about 13 gallon or 49 liters. 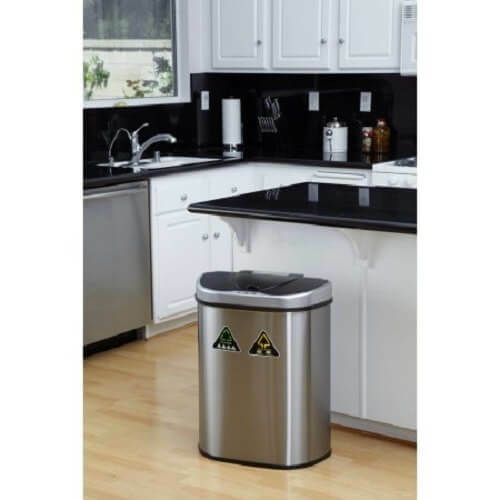 This next touchless kitchen trash can has an automatic motion sensor, it is such a great trash bin with the 13 gallo0n capacity. It also has a sophisticated design and intelligence capabilities. 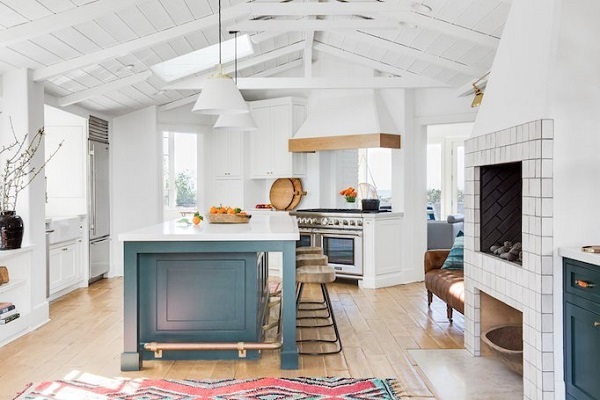 This one can be a good choice and an ideal upgrade for your kitchen decor and theme. There is an infrared technology that equipped inside, and you know what? This kitchen trash can really help us in keep dining or cooking areas smelling fresh and clean every day. The lid will open itself automatically when the object gets closer to the surface. A sturdy look and great style of this modern touchless trash are perfect in every corner your home. With the motion sensor, the lid that can open automatically and will stay open when your hands are still detected. There are two compartments inside this gorgeous trash bin, the first side is for recyclables items and the second one for the unrecyclable. 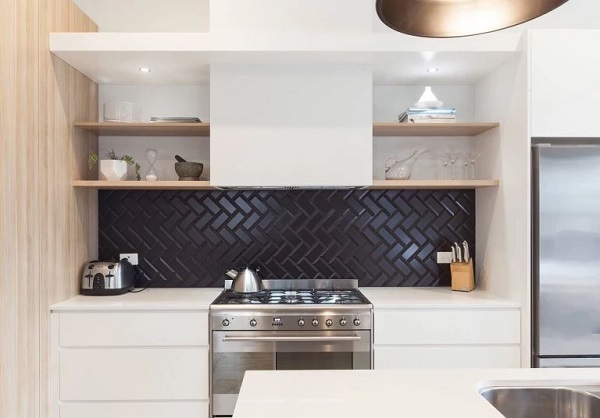 Give your kitchen something new, put this gorgeous iTouchless trash can in your lovely corner to update your kitchen’s look. It comes with a quite big capacity about 14-Gallon Trash Can. 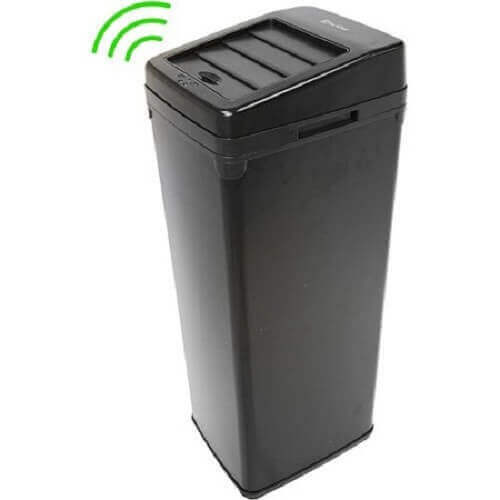 The latest system update of infrared sensor technology inside this modern trash can really help us when our hands are full which we do not have to push it to open the trash can. Moreover, with this up to date technology of this black steel trash bin, we can still open and close the button for manual operation. This iTouchless trash bin requires 4 D batteries to operate all of the functions. This smart and big trash can is very suitable to put in any corner of your kitchen. The heavy-duty body and stainless steel frame are a great combination to fill the perfection. 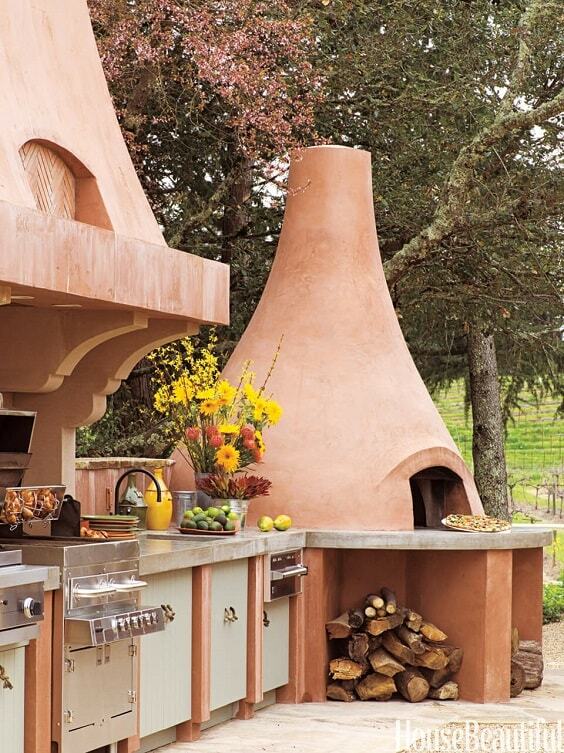 It can handle all of the waste, has a big storage, and good recycling system. The product comes with easy step pedals that allow us to sort our items into the removable inner trash. This simplehuman swing top trash can comes with a cool and gorgeous look. We can activate the swing-back lid by giving a gentle push. 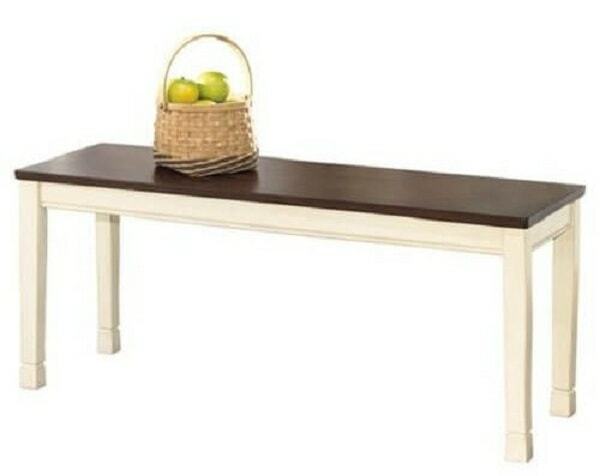 It also has a quite large capacity that really suitable for a larger household. 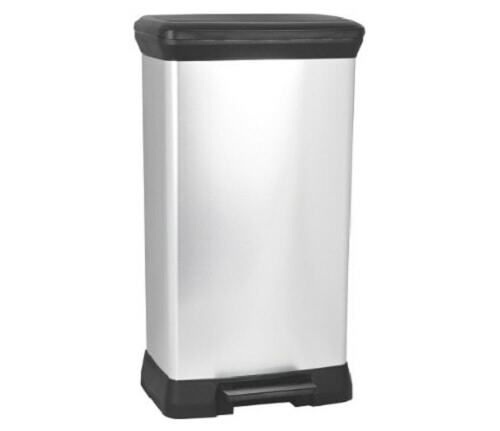 This simplehuman Slim open top trash can comes with 50 L / 13 Gal capacity. It has a cool open lid design, so you can easily toss in the garbage on the go. It has also a sturdy stainless steel body and construction to complete the perfection. 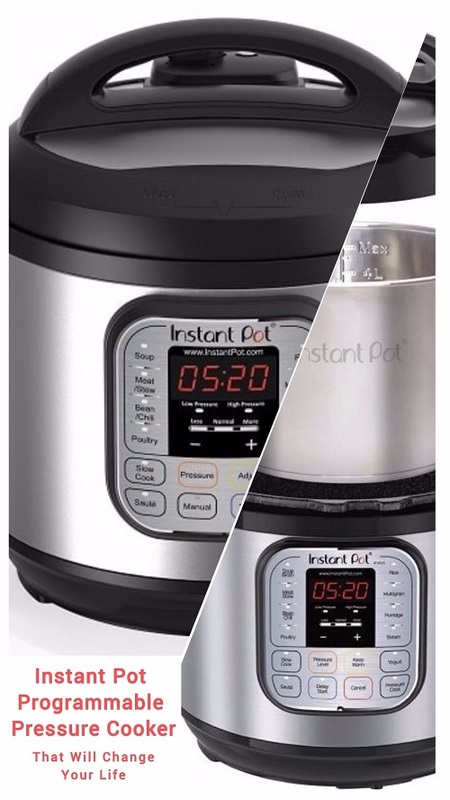 This is an ideal product for a busy household and a large family. 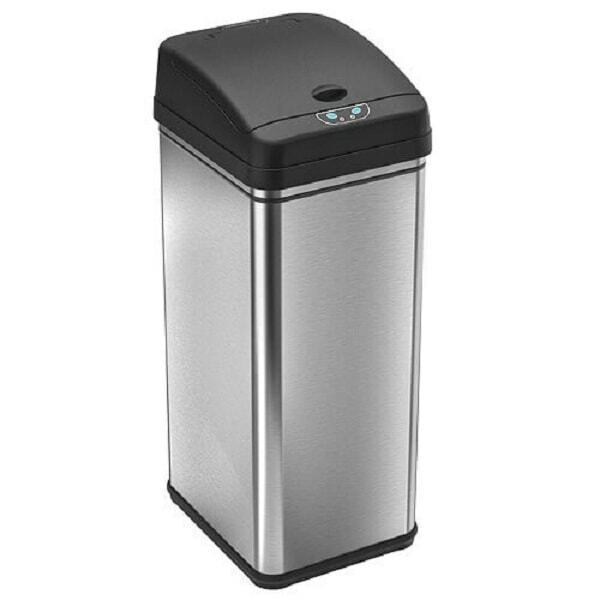 This last recommended kitchen touchless trash can is the simplehuman butterfly step can. This is a nice product with an artistic and innovative butterfly lid which can open the center for the maximum clearance under the low countertop. The slim body is a plus and it is very efficient to make the tightest spaces. 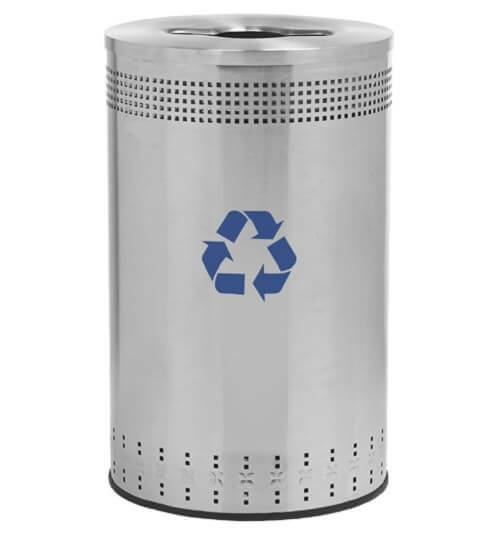 It also has a strong steel pedal body that patented the lid shox system, to ensure the trash can will work quietly and smoothly for years. So those are some recommended touchless kitchen trash can for your reference. It is always a good idea to choose the touchless kitchen trash can since it provides convenience for you. 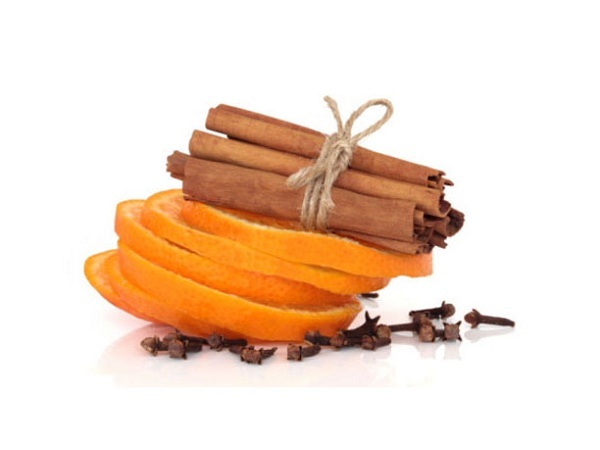 It’s also beneficial to keep the hygiene of your hand while you are cooking or having some meals in your kitchen. 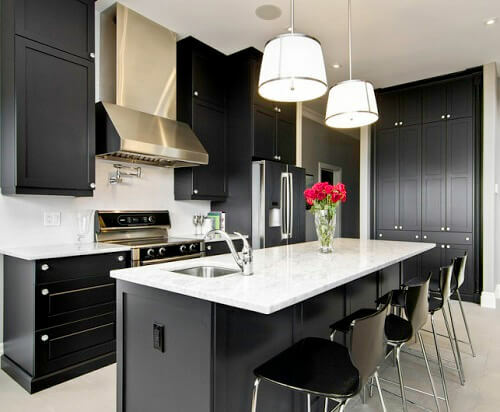 Choose the touchless kitchen trash can with the reliable and complete features, and never forget about the looks that should match well with your kitchen interior design. The prices which are offered are actually affordable yet you have to pick the one which suits your budget well. Reading some reviews about the products will definitely help you to pick the right one to buy. 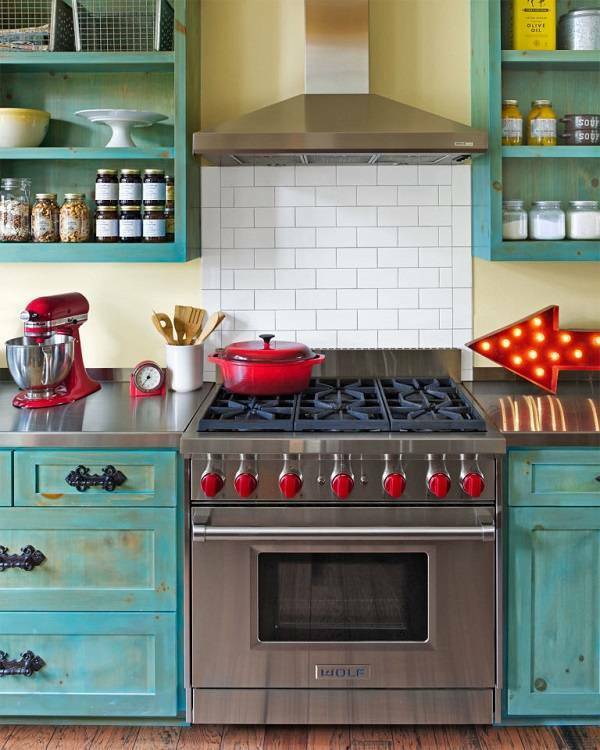 You can’t end up having a poor product to add functions to your kitchen. 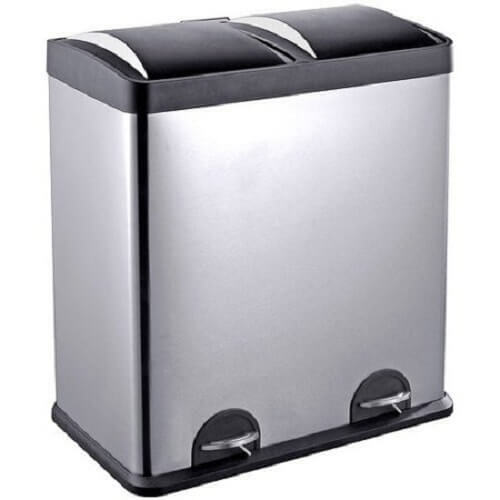 Then, hopefully, our list of touchless kitchen trash can will help you to select the product which meets your requirement. Happy shopping for your home improvement!